26 March 2019 (Toronto, ON) – Today, GRAMMY Award-winning Multi-Platinum singer/songwriter Daya unveils the music video for her latest hit “Insomnia” via Interscope Records/Universal Music Canada, the country’s leading music company. 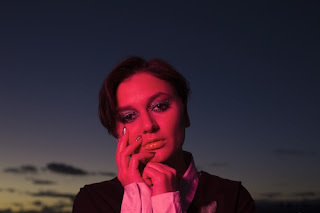 The video throws viewers into rave culture with an epic party; but while everyone is dancing in the club, Daya is alone in a darkly-lit room, unable to join the party as her thoughts stay focused singularly on missing the one she loves. The video, directed by Nick Harwood, can be seen today in iconic Times Square in New York City with the support of MTV. Watch the video HERE to get lost in the party and emotions of “Insomnia”. “Insomnia”, laced with a hypnotic beat behind Daya’s trademark vocals, was written by Daya, Oscar Görres, J Kash and Michael Pollack and produced by Görres.